Well sorted TOP 10 Mavic 2 Accessories list! 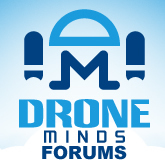 Discussion in 'DJI Drones' started by UnlimiteDrone, Mar 9, 2019. What accessories do you already use?